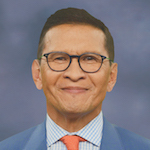 Raoul S. Concepcion, MD, FACS presented “Updates on Upper Tract Urothelial Cancer” during the 19th Annual Future Directions in Urology Symposium on August 11, 2018 in Colorado Springs, Colorado. Is Nephroureterectomy Appropriate for all Upper Tract Urothelial Tumors? UTUC includes tumors of the renal calyces, renal pelvis, and ureters. The National Comprehensive Cancer Network (NCCN) guidelines indicate nephroureterectomy, or removal of the kidney and ureter, as well as bladder cuff excision, for UTUC. While urologists generally accept this surgical approach for high-grade UTUC, it may be inappropriate for low-grade disease. Fortunately, there are many emerging technologies for localized UTUC treatment. For example, Dr. Conception describes a new chemotherapeutic agent delivered to the collecting duct system through a ureteral catheter. Dr. Concepcion is a urologist from The Comprehensive Prostate Center in Nashville, Tennessee. Although his clinical interests have focused on prostate cancer for the last decade, he has recently shifted some focus toward bladder and urothelial cancers. The Future Directions in Urology Symposium (FDUS) is an annual collaborative meeting with a faculty consisting of the top researchers, physicians, and educators in the field of urology. 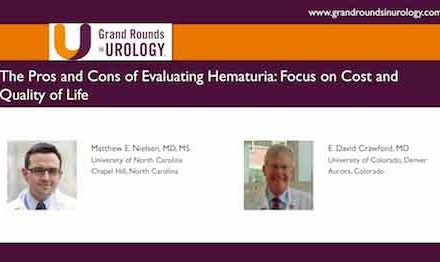 During FDUS, experts provide updates on recent developments and debate innovative management approaches in genitourinary cancers and urologic conditions. Subsequently, the experts devise consensus statements in accordance with the discussions held in the meeting. In this video, Dr. Concepcion discloses the thesis of the discussion he led during FDUS.